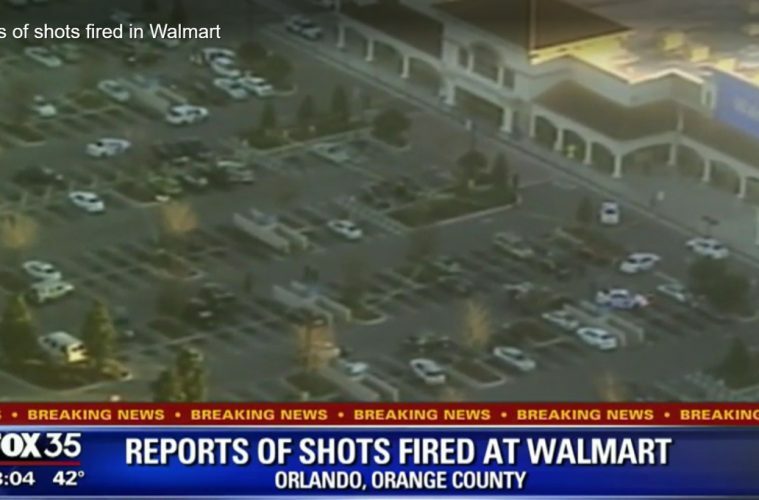 A female Orlando, Fla., police officer was shot numerous times outside of a Walmart store Monday, and the shooter remains at large, according to authorities and local media reports. The shooting occurred after 7:15 a.m. near a Walmart store in Pine Hills, which is located just west of Orlando. The gunman was wearing a security uniform, a witness said.